Supermarket chain Morrisons posted “disappointing” sales over the Christmas break, due to the retailer’s lack of online presence. 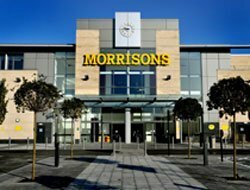 Supermarket chain Morrisons posted “disappointing” sales over the Christmas period, due to the retailer’s lack of an online presence. In the six weeks to 30 December total sales were down by 0.9%, while like-for-like sales declined by 2.5%. “Our sales performance in the period was disappointing,” said the supermarket. This reflects the need to accelerating other channels, such as online and convenience, which Morrisons has only recently entered, it said. Morrisons CEO Dalton Philips said in a statement: "In a difficult market our sales performance was lower than anticipated, but we have a strong business and significant opportunities to advance our strategy, as we accelerate our multi-channel offer". Morrisons will be working with Capgemini to build a multi-channel online presence this year. Andy Stevens, Verdict retail analyst, said the results were a direct consequence of the retailer not having a multi-channel strategy. The supermarket’s competitors, all of which have a strong online presence, are likely to do much better, he said. However, Stevens added that it was still unclear how profitable online grocery sales were for supermarkets, with delivery costs often acting as a loss leader for supermarkets. But he said in terms of branding and building customer loyalty, a strong multi-channel is key.